Buy $50, get extra $10 Free. Newegg.com has a $60 Nike Gift Card for $50 - By Mail, $50.00 Free Shipping. Expires Soon - Limit 2. We have never seen a Nike gift card deal before! 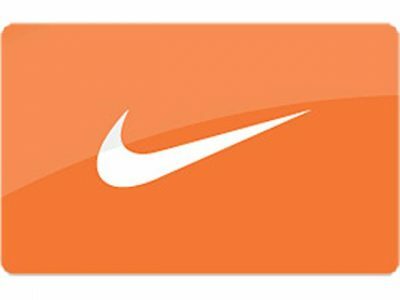 Nike Gift Cards are redeemable for merchandise online at Nike.com, Hurley.com, Converse.com, at any Nike-owned and Converse-owned retail location in the United States and Puerto Rico or by phone at 1 800 806 6453.